Getting approved for a mortgage is probably the most important part of buying your new home. Most deals fall through because the buyer is not able to attain financing. The following is a list of essential things every homeowner should know before applying for a mortgage. Retail banks = Higher rates, more fees. One of the most common mistakes that homeowners make is applying for a mortgage with their local bank. Or worse, they call one of the “Big Banks”. If you do this, be prepared to pay at least .25% higher on your rate and 1% higher in closing costs. This might not sound like a lot, but on a $200,000 loan it is $2,000 more costs at closing and $10,000 more over the term of the loan! So, how do you find the best deal? The lowest priced loans are available through wholesale mortgage lenders. These lenders have lower rates because they do not have the tremendous overhead of the large retail banks. You probably do not know their names since these lenders only work through brokers, but these companies offer the exact same loan products as the banks – Fannie Mae conventional & FHA mortgages. With wholesale lenders, you will receive the same type of loan but without the markup from retail banks. Work with a professional from the start. The most common complaint in the mortgage industry is regarding the amount of time it takes to close your loan and all of the annoying and cumbersome paperwork needed. The good news is most delays can be avoided by working with the right professional from the beginning. A good mortgage broker will review and underwrite your application before submitting anything to the lender. This way, any issues can be cleared up well before the closing. The right broker will also be able to close your loan in 21 days or less by putting in the work with you upfront. Be prepared to provide a lot of documents in the first few days of your application, but getting it done right the first time will prevent any delays down the road. Should you pay closing costs? Mortgages with no closing costs have higher interest rates. This could be the best option if you only plan on owning the property for a short amount of time. But, more often than not it makes the most sense to get the lowest rate possible without paying points. This means that there will be several third party costs – title services, recording fees and appraisal fees are the most common. Title fees will vary depending upon what state you live in and what your loan amount is. For a quick quote on the costs associated with title insurance, click here. The recording fee is the charge paid to your local township/county to record the new deed and mortgage. It generally is $200-$400. Appraisals usually cost about $450 which includes a local, independent appraisal company inspecting your home, reviewing recent comps and preparing a full report. The only other cost associated with the loan is typically an origination fee due at closing. Most lenders will charge $750-$900. For conventional loans, the minimum down payment is 5.00 percent of the purchase price. For FHA loans, it is only 3.50 percent. Keep in mind, that if you are putting down less than 20 percent you will either have to pay private mortgage insurance (PMI) or you will need to work with a lender that offers lender paid mortgage insurance (LPMI). Mortgages with LPMI always have higher interest rates, so it is necessary to compare both options and figure out what makes the most sense. The amount of PMI depends upon a number of different factors including your credit score, loan-to-value ratio and loan amount. The average monthly amount is $100-$200. A down payment of 25 percent or more will attract the best interest rates and will have no PMI. For large loan amounts (over $417,000 in most areas) a 20 percent down payment is the minimum. Should you lock in a 30 year fixed or shorter term? Loans with longer terms (20-30 years) will have higher interest rates compared to shorter term loans (10-15 years). Although you are saving money on interest expense, your monthly payment will be higher with a shorter term loan since you are paying more towards principal every month. For example, the principal and interest payment on a $200,000 loan will be about $1,000 per month with a 30 year fixed or about $1,400 with a 15 year loan. You should also consider setting up bi-weekly payments which means paying half your mortgage every two weeks instead of one monthly payment. This results in more of your money going towards principal and less to interest since you will be paying a little extra each year. Prepayment penalties. In most circumstances, your loan should have no penalty for paying off early. Upfront/application fee. You should avoid paying a non-refundable upfront cost or application fee. Variable rates. With interest rates as low as they are today, it rarely makes sense to lock in anything other than a fixed rate. If you are 100 percent sure you will be selling the property in less than 5-7 years, a variable rate loan with a fixed upfront term might be a good option. Paying points. A lender fee higher than $1,000 usually means that points are included. This should be avoided unless you will be living in the home for a long period of time. APR. Always check the APR which is your interest rate plus lender fees and points. If the APR is much higher than the interest rate, the deal probably includes points or a large amount of fees that should be avoided. Interest only loans. These mortgages should only be used if the property is being sold or refinanced within a short period of time. Most recent 2 years business returns (Form 1120, 1120s or 1065s) for any partnership, corporation or S-corp.
Also, you must verify the existence of the business by providing a letter from a CPA, copy of a business listing, copy of a recent advertisement, or a print out of the business website. If there is a huge fluctuation (either higher or lower) in income over the past 2 years, it may be necessary to include a 3rd year of tax returns to determine an average, more stable amount. Many business owners report more expenses to reduce their tax liability. But, this can backfire when applying for a loan since lenders will use your net income. So, you must decide what is more important: qualifying for a larger mortgage or saving money on your taxes? Purchasing a home or refinancing can easily be the largest financial transaction of your life. So, take some time and be prepared. Here are the top 5 things to consider to lock in the lowest mortgage rates. The loans with the shortest terms have the best rates. So, if you want to get the lowest mortgage rate, a 10 or 15 year term is the way to go. If you cannot afford a lower term payment, then shoot for a 20 year loan instead of a 30. Even though you are paying more every month, most of that will go towards principal and you will pay off your loan a lot faster and save thousands of dollars in interest. Needless to say, the higher scores get the best rates. The average credit score in the United States is about 720, but scores 740+ will attract the best deals. It will take at least 30-45 days for your score to change, so make sure you pay down credit cards and take care of any delinquent accounts well in advance of starting your mortgage application. Loans without escrows are considered more risky and therefore have higher rates. Even if you have never missed a tax payment, applicants who do not escrow will get a small bump in rate. Similarly, property insurance premiums should be in escrow as well so the lender is assured your home stays covered. Many lenders offer rate locks that are 30-60 days long. Even thought that sounds tempting for a buyer, if you really want the best deal the lock period should be as short as possible. Locking in for longer periods of time is more risky for lenders and that will be priced into the rate. You can save hundreds of dollars by waiting to lock until a couple of weeks before closing. We are proud to announce our recent launch in state of New Jersey! 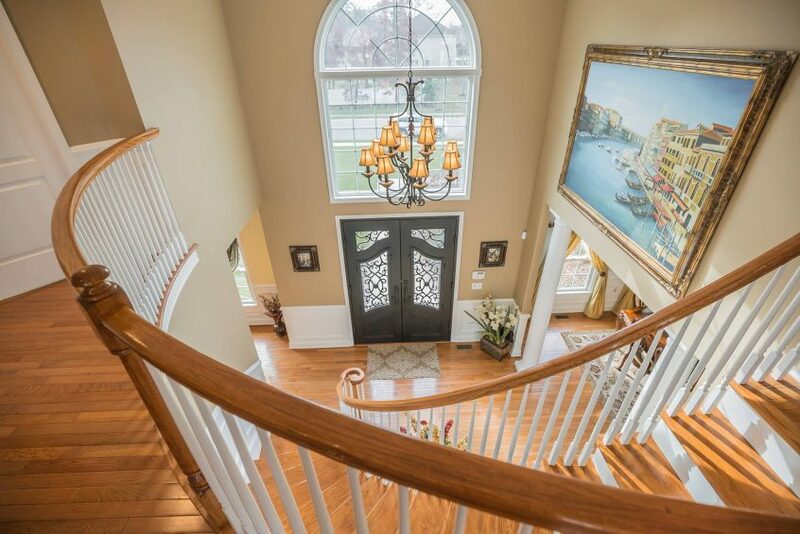 At HomeJab, we are committed to producing the highest quality New Jersey real estate videos and photography services. For all locations within 40 miles of downtown Philadelphia, we can schedule your shoot in 48 hours or less. Our local production team includes some of the most talented filmmakers and photographers in the Philly/South Jersey/Central Jersey areas specializing in walk-through video tours, photography and aerial footage. Yes, it’s possible. Many times you can close a loan without having to pay any closing costs by locking in a slightly higher interest rate. Loans at higher rates receive a credit at the closing from the lender, which can often pay for all your closing costs. This can be a smart financial move if you don’t plan on holding the mortgage for a longer period of time (i.e. you are moving in 3-5 years). For example, the monthly payment on a $250,000 loan, 30-year fixed at 3.25%, is $1,088. Let’s assume the closing costs come to $2,000. Let’s also assume that the interest rate on a “no closing cost” loan is 3.375% – a monthly payment of $1,105 (Only $17 more per month). If you go with the higher rate and keep the mortgage for five years, you would have paid $1,020 more than the loan at 3.25% over that period of time. However, you would have saved $2,000 up front. So, if you were planning to move in 5 years, the higher rate loan would have made more sense. This way, you will be able to compare several options and determine what rate and cost structure makes the most sense for your specific situation and financial goals. A Different Approach: Modern Mortgage Lending. Save thousands in fees by going to the source. Congratulations – you’ve decided to purchase a property. And now, you need a mortgage. Without doing much research you can probably name a few places you could head to check out rates. You might walk into your local bank branch, call a mortgage broker you found on Google, or contact a mortgage lending company you’ve seen commercials on TV for. Three destinations, but in essence, they all are the same: they represent the retail side of the mortgage lending industry. HomeJab offers something different…modern mortgage lending for the tech-savy borrower. Retail for mortgages is similar to retail for nearly any other product on the market. When you walk into Best Buy, for example, you are paying retail rates for electronics. Best Buy, of course, did not manufacture the DVD player that you are buying – the retail store is buying the merchandise wholesale and re-selling the product to you, the consumer, for a profit. The same process is true for mortgage companies, no matter if you are dealing with a bank, broker, or mortgage lender. Even if the company is considered a “direct lender,” they are upping the price of the original loan in order to make a profit before they sell your mortgage to a wholesale lender after closing. Surprised? It’s a little known fact, but mortgage brokers, banks, and all other retail mortgage companies sell their loans to wholesale lenders and/or investors that buy mortgages. Every company that is advertising mortgage rates in today’s market is selling the loan in one way or another. You are therefore paying them a retail rate on the loan while the mortgage company is selling it for wholesale prices, and making a profit on the difference. So just like the millions of Americans who have taken to Costco for savings, you now want to purchase your mortgage wholesale. While it’s not as simple as joining a club, choosing to pass on retail mortgage lenders and instead work with an independent licensed loan originator is your best option. Loan originators can take your application and submit it directly to the wholesale lender, helping you bypass retail mark-ups. Yes, loan originators do receive a commission for submitting your application to a wholesale lender. But the difference in fees between a single loan originator (an individual) and a retail bank or mortgage company is massive. Banks and large mortgage companies charge 2-3 percent fees not only to make income, but to account for their much larger operating expenses including staff, expensive office space, and other overhead. On a $250,000 loan, a 2.5% commission for a bank would be $6,250. An individual loan originator making a more modest commission of 1.5%, for example, would make $3,750 commission on that same loan. That is a difference of $2,500, which is directly applied to lowering your closing costs and interest rate! At HomeJab, we have a different approach which we are calling “modern mortgage lending”. We are a group of individual loan originators, not a traditional retail mortgage company. We share an office space with other businesses to cut costs, and each loan originator does his own underwriting and processing. By significantly cutting costs, we are able to lower our commissions down to an average of 1.50%, significantly lower than every other mortgage company in the market today. You get the same loan, the same security, and the same home, but walk away with more money in your pocket. Handle these 4 things now and prevent a headache later. In nearly any business when there’s a delay, the blame is placed on paperwork. Cumbersome and confusing at times, the documentation that helps you secure and eventually close your loan is paramount, and by giving it the attention it deserves you can save yourself significant time not only hunting down files, but getting into your new property. A loan file that has all the right documents from the beginning can close in two to three weeks, while a loan without sufficient documentation can take 30-45 days or more…or never close at all! Make sure you track down the following items so you can close your loan fast! The first aspect of your loan that you will need to document extensively is your income. If you are a W-2 employee, make a copy of your most recent pay stub and your W-2s and filed tax returns from the past two years. Make sure to copy all pages of your federal tax returns and not just the first two pages. If you are self-employed, two years of personal tax returns are required along with two years of your business returns. In addition, you will need to make copies of all K-1s or 1099s that you have received. The second aspect of your loan that you will need to document is assets. Make a copy of your most recent bank statement from your checking account and one other account (i.e. savings, money market, or retirement). Common mistakes when documenting a bank statement are only copying the first page or printing out an online transaction summary – this will not work with today’s underwriters. A complete statement with all pages (even if the last page is blank) is needed. If you do not receive paper statements in the mail, you still should be able to download a PDF version of a monthly statement from your online account. It is also necessary to source all non-payroll deposits and/or transfers into the account. This means that you should write and sign a short explanation of where the deposit came from and show a paper trail by copying a statement from the account where the money was transferred from, or a copy of the cancelled check that was deposited. If cash was deposited, then a copy of the deposit slip should be made. Copies of cancelled checks and deposit slips can easily be attained from the bank where the deposit was made. All borrowers should provide the contact information and policy number for their current homeowner’s insurance. Your coverage will need to be verified, and the mortgagee clause in your policy may need to be changed. If you own a second/vacation home or an investment property, you will need to provide a copy of the most recent tax bill and the insurance declarations page for those properties. If you are a co-signer on student loans with deferred payments, contact the student loan company for a statement showing what the payment will be once the deferred period is over. As you go through these many documents, ensure that every copy is the full page with no sections cut off. It may sound crazy, but if there are even a few letters cut off on one side of the page, your underwriter will not accept it. We all lead busy lives and do not have time to waste, so it is absolutely essential to put the time in upfront and gather all the right documents in the beginning of the loan process. In turn you will save yourself a lot of frustration and time, and close your loan more efficiently. Demand for online video is exploding and there are unlimited jobs available! HomeJab is offering jobs to talented filmmakers & photographers to work on real estate projects. Realtors are taking to video in a big way and we need your help to keep up with demand! Most shoots are Mon-Fri 9am-5pm with weekends optional. You choose how often you work and when. Most HomeJab filmmakers shoot 5-10 homes per week. HomeJab uses a mobile app to instantly send you available jobs in your area. You simply accept or decline each job. Think of us as the “Uber for Real Estate”! Experienced HomeJab filmmakers will teach you exactly how to film a home so you’re done in 60 minutes or less! Time is money in real estate and in professional photography. We can teach you how to film a home in the most efficient way and edit videos in less time. In other words, you can shoot more homes and make more money! All HomeJab filmmakers are required to own a full-frame DSLR camera w/ a wide angle lens. We film videos using a “walk- through” style, so proficiency with a steadicam is required. Drone equipment is also a plus since aerial cinematography is the fastest growing sector of the real estate video market. If you currently do not have all necessary equipment, HomeJab can offer 0% APR financing for qualified applicants. We are proud to announce our recent launch in state of Virginia! At HomeJab, we are committed to producing the highest quality Virginia real estate videos and photography services. For all locations within 40 miles of downtown Wash DC, we can schedule your shoot in 48 hours or less. Our local production team includes some of the most talented filmmakers and photographers in the northern VA area specializing in walk-through video tours, photography and aerial footage. Closings in 21 days or less. Banks move slowly and don’t make your refinance a very pleasant experience. With HomeJab, you’ll close your loan fast and easy. You understand every cost and fee. Most banks will hide the amount of closing costs and offer you “teaser rates” that cannot be locked in. HomeJab provides you with a detailed breakdown of every term of your loan so that you understand the costs and benefits associated with your refinance. Traditional lenders hire thousands of sales people to call you day and night. HomeJab puts the entire process online so you are in control. You can request updated quotes, access our secure online application and lock in your rate when you are ready. If you need help, contact our friendly lending team.